Kolkata: They say that actions always speak louder than words and this statement only gains more weight if the case of Korean raider Jang Kun Lee is looked at. He doesn’t speak much and is a man of a very few words but when he steps on the kabaddi mat, very few people can match his skills and calibre as he dominates right from the word go. 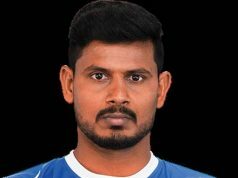 He has been one of the most integral parts of the Bengal Warriors franchise in the Pro Kabaddi League ever since it’s inception and has been the only bright spot for them in all these four seasons of the popular kabaddi tournament. 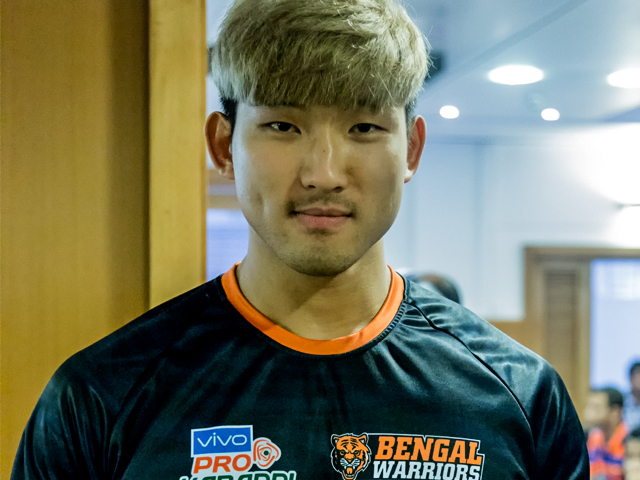 Ahead of the fifth season, the Bengal Warriors management decided to revamp and restructure the entire team by bringing in new players and a new coach in a bid to put up a better show this time around and unsurprisingly, Lee is a central part of their plans and has been named as the icon player of the franchise. SportsCrunch caught up with the South Korean star on the sidelines of a press conference yesterday in the city. Indeed a man of few words. But when on the kabaddi mat, Lee isn’t the guy you want to play against. 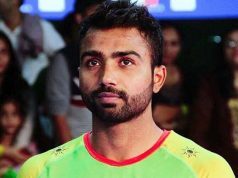 He has played a total of 51 matches in the Pro Kabaddi League so far and has amassed 262 points with 243 of them being raid points. He also has made 188 successful raids so far in all the four seasons and has often won matches for his team. Well not only for the Bengal Warriors, but Lee has been an instrumental figure in popularising the sport back in his country of South Korea. In the 2014 Asian Games, he was a part of the South Korean side when they won the bronze medal but the 24-year old aspires of making it big for his country one day and bringing his team on equal terms with three-time world champions and Kabaddi heavyweights India. Incidentally, India lost just one match in the 2016 Kabaddi World Cup and that was at the hands of the South Koreans, a team which Lee was a part of. Also, South Korea had topped the group which had India in it and had ended the tournament as the third best team in the competition. This time he would putting in all the hard yards at the training sessions and is raring to go all guns blazing for the new-look Bengal Warriors. He has been one of the standout performers for the team in the past but this time, he would want to take his team over the line. No it’s not that brother.